There were 698 Irish funds registered for sale in Singapore in 2017. Singapore is a well-established international asset management and fund centre with total AUM in 2015 rising to S$2.6trillion, an increase of 9% since 20141. Over the last 5 years, the industry’s AUM expanded at a 14% compound annual growth rate. UCITS are a familiar and well accepted product from both an investor and regulatory perspective. It is a regional centre for investment management, and a hub for money flows into and out of the region. It has traditionally been a home for the assets of Asia's high net worth individuals and families, particularly those from Indonesia, Malaysia, Taiwan and, more recently, China. Traditional AUM in 2015 grew modestly by 4%, driven largely by global asset management which had expanded their scale of investment activities in Singapore. Hedge fund AUM also grew by 29% to reach S$119bn. Interestingly, 80% of total AUM in 2015 was sourced from outside Singapore with 17% coming from Europe (56% was sourced from Asia-Pacific and 18% from North America demonstrating Singapore’s role in serving regional and international investors). View the full country distribution guide for Singapore (Irish Funds member login required). Historically, Singapore's local banks, DBS, UOB, and OCBC, have been the key distribution channel for funds. But this share has been declining over time though it is still estimated to be more than 50%. Other distribution channels have become more viable over the last few years led by insurance companies, followed by IFA firms and online distributors. The banks have their own in-house asset management arms and held a monopoly on the market until the MAS opened the marketplace in 2002. They also hold the key to the CPF market. Historically, one of the reasons foreign asset managers have found the CPF market a hard nut to crack is that investments into CPF plans have had to be channelled via CPF agent banks, namely UOB, OCBC, and DBS. The fund houses in Singapore increasingly consider the IFA channels to be valuable and viable. The Financial Advisers Act (FAA) and the Securities & Futures Act (SFA) are the two laws governing intermediaries selling mutual funds. This gives the public the assurance that the representative selling mutual funds is licensed to carry out the sale of investment products. The IFA industry is expected to account for up to 20% of all mutual fund assets in 2011. As wealth and investment sophistication levels increase, retail investors are becoming more demanding. Successful IFAs are individuals and companies who are capable of dispensing investment advice and servicing their clients in ways similar to a private banker or wealth-management consultant within a bank. To that end, IFA companies employ in-house research analysts for product due diligence, asset allocation and portfolio construction. As a by-product, fund management groups face increased demand for support from IFAs. 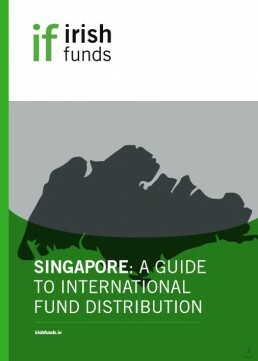 The distribution country guide for Singapore is available for members of Irish Funds. This guide gives a detailed view of the Singaporean market and the ins and outs of distributing funds there. Paul Price (Head of Distribution, Morgan Stanley Investment Management) gives an overview of the funds industry in Singapore.